Dynovis stands with our customers at the point of sale, at delivery, and throughout the entire life cycle of our products. Dynovis has broad experience in the design, manufacture, and fielding of frame and air supported shelters for military and relief agencies. With expertise in Collective Protection (ColPro) and personnel decontamination, we can deliver shelter systems with toxic-free environments for confident use in CBRNE threat environments. In partnership with UTS Systems, Dynovis works with customers to define, develop, source, and deploy shelter systems that serve billeting, medical, and command and control functions. For more information about the UTS shelter product line, visit UTS-Systems.com. Dynovis designs and manufactures expeditionary generators and support trailers. 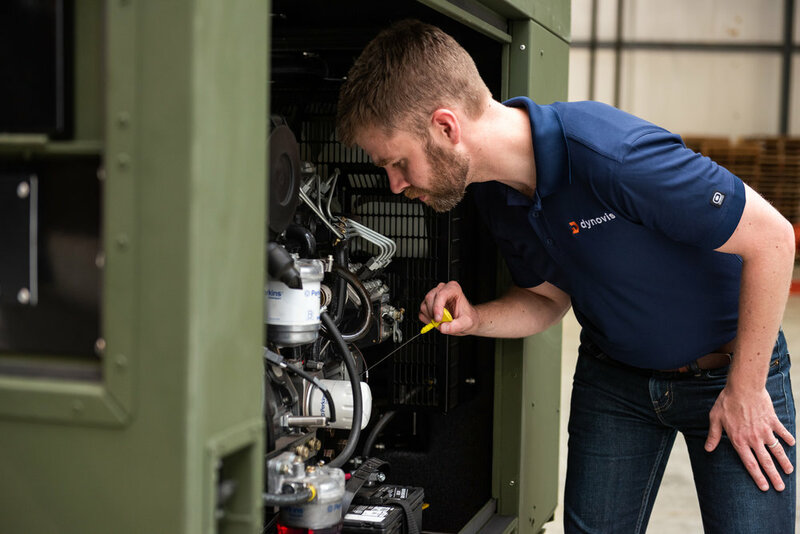 Our XGS expeditionary generators are designed to handle the rugged, demanding conditions while delivering pure conditioned power without disruption. Our XGT support trailers combine generators and environmental conditioning units (ECU), but go further with user-friendly shelter stowage and handling systems for time savings in the field. XGT30 – Expeditionary Generator, Trailer Mount, 30kW, 5T or 8T ECU. Whether you require operator training, spare parts, maintenance, or global support, you have world-wide access to our product documentation 24/7.